The East Care Group (ECG) was born in 1990 when the Peninsula Evangelical Free Church (PEFC) was worshiping at the Ebenezer Chapel. ECG had bible studies at member’s house on rotation. After the bible study session yummy food was waiting at the table. 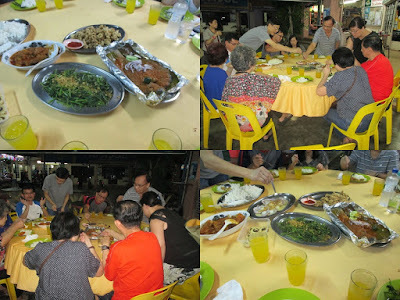 There was feasting and fellowship which usually ended late at night. We are food lovers. We live to eat and not eat to live. As a result we were also known as ‘eating group’. We were not offended but instead took the comment as a compliment for we are connoisseur of food delicacies. The group bonding grew stronger with each passing year. 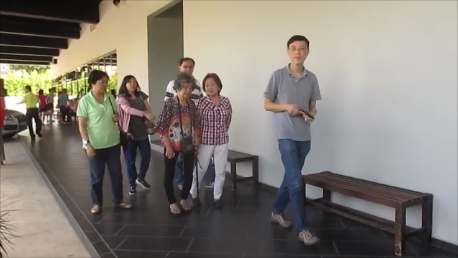 Members were nostalgic and wanted to walk done memory lane. Mary had it organised. She got a 15 seatter commuter van last week-end for ECG reunion in Melaka. There were twelve of us altogether for a 2 days and 1 night trip. We missed those who were not with us. 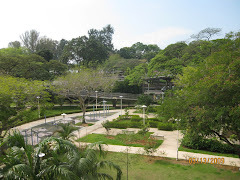 There were 3 pick-up points – Tampenis, Marine Parade and Commonwealth Avenue. Our day started at 5.15 am. We cleared Johore Immigration at about 7.30 am and proceeded to Jalan Tun Aminah Johore for breakfast. We had Dim Sum by the roadside which reminded me of Singapore in the1950/60. I also had yew chia kway dipped in Kopi O. On our way to Melaka we stopped at Yong Peng for local goodies. 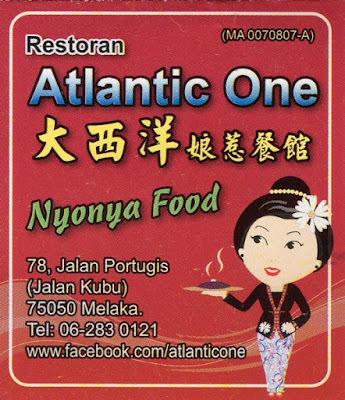 We arrived at Melaka just in time for lunch as arranged with Restoran Alantic One. 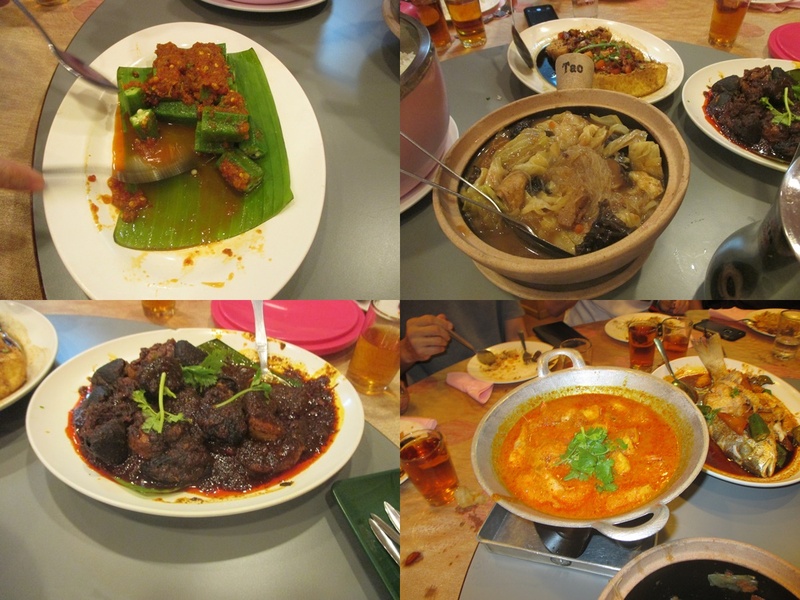 We had excellent nyonya cuisine and everyone showed thumbs up!!! Next we went shopping for local manufactured food. The sales girls were on festive mood. There was sales in the Mall and Emily bought bed sheets made in Japan and got a 10% discount. Later she discovered that on Sunday at 'Happy Hour' the discount would be 10% + 10%. Dinner at the Portuguese Village was a disappointment. Curry devil was their best dish but it was tasteless and not spicy at all. It is needless to talk about other dishes. James put up both hands that he had enough. He suggested his 'lau di fang' for satay chelop. 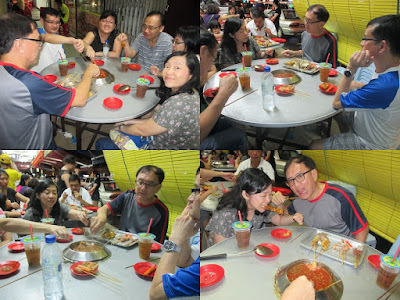 We ended the night walking through the pasar malam at Jonker Street. It was good for sight seeing but nothing to buy although the things on sale were cheap. Breakfast was at the hotel Nyonya Restaurant. The group had two school of thoughts. The younger ones wanted to bring the shopping mall home because of the ‘Happy Hours”. The older ones opted for the wet market. So we went our separate ways after breakfast. 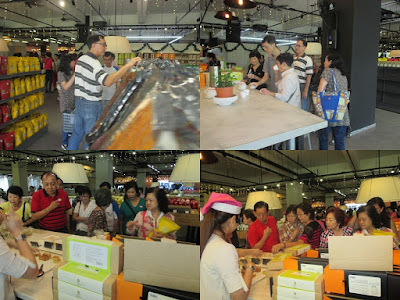 It was bed sheets, pillows etc from the Mall versus salted fish etc from the Sentral market. We met at the hotel and went for lunch at a seaside restaurant. The place was very quiet as it was hidden from the main road. The sea was in front of us and the breeze was fantastic. Food was good too. There was a ‘Husband Day Care Centre”. The men were tempted to stay back after the meal, but unfortunately the joint was closed. It opens only at night. Lucky for the wives. 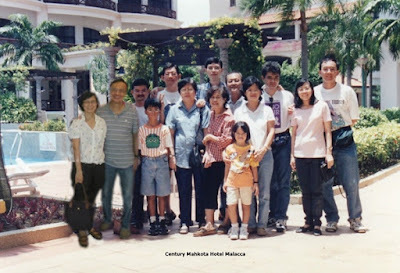 Chendol was at one time famous in Melaka. Now it is 'coconut shake'. We went to the hawker stall by the roadside but was put off by the long queue. 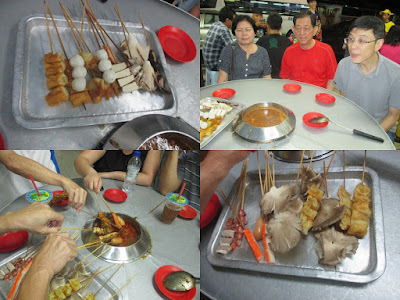 We went to the hawker's home nearby. It was worst. Inside the building was like a mad house crowded with people. We saw a long line of customers waiting to be served. The parking area was overcrowded with parking and moving vehicles. We agreed, "let's get out". Coconut Shake shop. It was peaceful outside but a mad house inside. 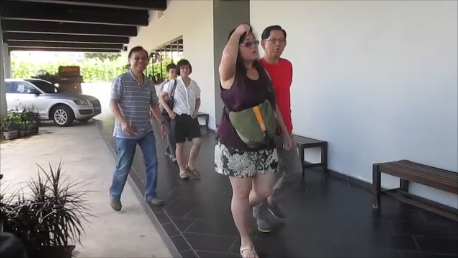 We went back to the hotel to rest and also to get ready for departure. Check out time was 12.00 pm. Dinner was at a Chinese restraurant. After dinner, Andy suggested we go for 'teh tarek'. So, we had a 'teh tarek' party before heading home. 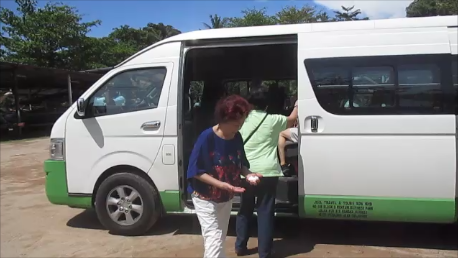 We traveled by this 15 seatter commuter van. It was quite comfortable. All of us enjoyed the ECG Reunion trip to Melaka. We hope more can join us the next time. Linda, thanks for your comment.You are welcome to view my blog.